If you'd like to comment on this devblog, feel free to head on over to the feedback thread on the official forums! On January 9th, we released a New Year update regarding the chat system after a range of issues since its deployment with the March 2018 release. Since that blog, we’ve seen several major backend deployments that have been targeted directly at problems that the community have reported with chat. These issues have ranged from connectivity to the chat cluster, to incorrect population counts in local and incorrect pilot data in the local member list. Two of the largest of these deployments were on Tuesday, January 8th and Wednesday, January 16th, which focused on bringing stability to the chat cluster and improving its performance. The first deployment on January 8th focused on how the system deals with pilots switching channels moving from system to system. The second on the 16th was focused on an overhaul of how initial presence is delivered when pilots join a large chat channel such as local in Jita. Since the deployment on the 16th, we’ve seen a period of stability where reports regarding issues with the chat system have dissipated, and the number of bug reports and support tickets relating to issues with chat has dropped to an all-time low since the new system was deployed in March 2018. The chat system and the issues that have occurred over the course of the last 10 months have been the subject of a lot of inward facing questions here at CCP. There’s been a substantial amount of internal discussion, looking at everything from how the system was developed, how it was deployed, how it was communicated and how we responded to the issues that were raised by the community both in terms of development and communication. The result is; we understand and accept the fact that we failed on both fronts. We also understand the gravity of the effects it had on the day to day activity of many of our pilots. The work carried out in January was targeted specifically to address community concerns in key areas where the chat system was not performing as expected and we’re happy to see that while there are some small issues we still need to iron out, stability and performance has been improved drastically. When we gave the last update on January 9th, we mentioned that we’d be deciding whether to continue to operate the XMPP service or revert back to the old system at the start of February, based on performance of chat after several large-scale fixes and improvements of the course of January. Taking the performance of the new XMPP system into consideration after the changes in January, the decision has been made not to revert to the older LSC system and to continue to develop and tweak the new system going forward. 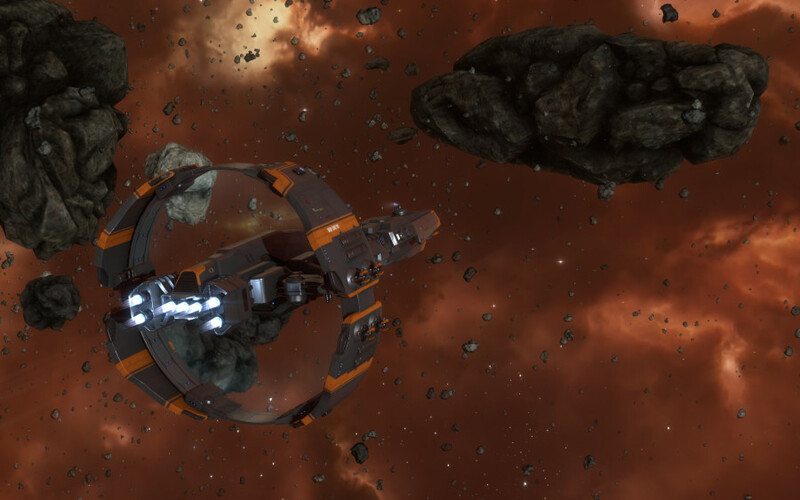 As we’ve previously explained, overhauling the chat system is a vital part of the future-proofing work that’s going into EVE, which also includes the retirement of old systems such as player owned structures and the introduction of a 64-bit client, the latter of which will be upon us soon. This work is occurring so that we can continue to keep New Eden up to date, improving the health of EVE and reducing legacy technical overhead as we head toward celebrating EVE’s 20th anniversary and the start of the third decade. Operating an XMPP chat system opens up all manner of possibilities for more tools and access to EVE’s chat system in the future. We want to continue to work with the community to iron out any issues that people may still have with the XMPP system and make sure that we continue to improve performance going forward. The team working on the development of the chat system will be watching the feedback thread for this blog closely, and if any of our pilots have been experiencing issues from the start of February onwards, we’d like to hear about them so as we can look at clearing up any outstanding problems. In the update we gave on January 9th, we also mentioned distribution of compensation for the issues that have occurred. We’re happy to announce that in the coming weeks, the highest skillpoint character on every account that held Omega clone status as of the start of daily downtime on March 20th, 2018 (the day the chat system was deployed) will receive a gift of 500,000 skillpoints in their unallocated skillpoint pool. Keep your eyes peeled for news on the distribution of this compensation in the coming weeks. We’d like to apologize again for the substantial disruption that the chat issues have caused over the course of 2018. We fully understand that the severity of issues with the system was not fully realized early enough. This was clearly identified when we looked back over the events of 2018 and has been addressed. As always, we’d love feedback on this blog and we’d love to hear if any of our pilots are still experiencing issues as of the start of February. Be sure to leave any feedback and comments you might have in the comments thread for this blog. Pilots should also be sure to file a bug report if they’re still seeing issues with the system at this stage. hey there and thanks in your info – I have definitely picked up anything new from right here. I did alternatively experience some technical points the use of this web site, as I skilled to reload the web site many occasions prior to I could get it to load correctly. I had been considering in case your web hosting is OK? Now not that I am complaining, but sluggish loading cases occasions will very frequently affect your placement in google and could injury your quality score if ads and ***********|advertising|advertising|advertising and *********** with Adwords. Well I am including this RSS to my email and could glance out for a lot more of your respective exciting content. Ensure that you update this again very soon..
of course like your web site however you need to take a look at the spelling on several of your posts. A number of them are rife with spelling problems and I find it very bothersome to inform the reality then again I?¦ll surely come again again. Automobile title loan interest rates can range extensively. Hello, Neat post. There is an issue together with your web site in internet explorer, could test this… IE nonetheless is the market chief and a good element of other folks will pass over your fantastic writing because of this problem. Birthdays are always particular to a person. Great web site you have got here.. It’s difficult to find excellent writing like yours nowadays. I really appreciate people like you! Take care!! whoah this blog is great i love reading your posts. Keep up the good work! You know, a lot of people are looking around for this info, you could help them greatly. I was just searching for this info for a while. After 6 hours of continuous Googleing, at last I got it in your web site. I wonder what is the lack of Google strategy that do not rank this kind of informative web sites in top of the list. Usually the top web sites are full of garbage. That is very interesting, You are an overly professional blogger. I have joined your rss feed and look ahead to in quest of more of your fantastic post. Also, I have shared your web site in my social networks! Greetings! This is my first comment here so I just wanted to give a quick shout out and say I genuinely enjoy reading through your posts. Can you suggest any other blogs/websites/forums that cover the same subjects? Thanks a ton! I’m impressed, I have to say. Really hardly ever do I encounter a weblog that’s both educative and entertaining, and let me let you know, you will have hit the nail on the head. Your concept is outstanding; the difficulty is one thing that not sufficient individuals are talking intelligently about. I’m very completely satisfied that I stumbled throughout this in my seek for something relating to this. This is the reason roses turned Aphrodite’s flower. they nonetheless want their own funeral home. We additionally provide quite a few accompanying gifts , present baskets , hampers & flowers that may be delivered inside 24 hours! retailer and suddenly realized why my crops were dying. Within the first couple of a long time of the last century, funeral flower preparations had been often massive, sweet-smelling badges formed as hearts, crosses and logos of organizations. This movement of water is what drives Aquaponics. very best options for you. and the quantity of organizing the director does for you’ll rely in your needs. F*ckin’ amazing issues here. I am very happy to look your article. Thank you so much and i’m looking ahead to touch you. Will you please drop me a mail? naturally like your web-site however you need to test the spelling on several of your posts. Many of them are rife with spelling issues and I find it very troublesome to inform the truth nevertheless I¡¦ll certainly come again again. Hi there, I found your website by way of Google while searching for a similar subject, your website got here up, it seems to be good. I have bookmarked it in my google bookmarks. What is the very best software application to design web sites and blogs? What are the best complimentary blog sites that allow user-sponsored advertising and also sales? Leave a Reply to school Click here to cancel reply.